PIVX stands for Private Instant Verified Transaction and is an open-source cryptocurrency with a focus on private transactions. PIVX coins are fungible and allow for instant transactions via a system called SwiftX, where a locked payment is sent and verified within 5 seconds. Private transactions are possible through implementation of the zerocoin protocol. What differs it from other Cryptocurrencies? How much is it worth today? What is the total and the circulating supply? Can it be sold for cash? The consensus mechanism is Proof-of-Stake, and additionally, Masternodes are a part of the PIVX network. 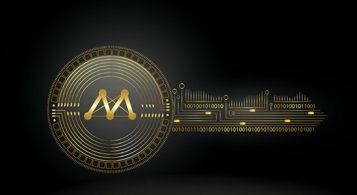 A Masternode verifies and anonymizes transactions, stores the blockchain, and votes on community proposals. In return, the holder of a Masternode receives dividends in the form of PIVX tokens. 10,000 PIVX are required as collateral to run a masternode. It started as a fork from DASH and was initially named “Darknet.” It was launched on 31. January 2016 and rebranded in Q1 2017. It is community driven. No, the consensus mechanism is Proof-of-Stake. Therefore you cannot mine, but you can stake your tokens to help secure the network and get additional tokens as compensation. It differs from DASH in the way that it uses Proof-of-Stake instead of Proof-of-Work and PIVX has a slightly different voting mechanism. Also, it implemented the zerocoin protocol. The total supply is infinite in theory and the circulating supply at the time of writing is 56,282,800 PIVX. Used PIVX is burned, and the rate of burning will in the future roughly equal the rate at which new PIVX are produced. Where can you buy PIVX? You can buy it on several cryptocurrency exchanges, most notably Binance and Upbit. You can sell it for cash on several cryptocurrency exchanges that have fiat-pairings, most notably Upbit. The team works on new wallets, including an iOS mobile wallet as well as on Ledger hardware wallet Masternode collateral support. Elastic block size, a decentralized exchange and a protocol to disguise IP-Addresses are also on the roadmap. 4/10 Good project for private transactions. The big negative point is the indefinite token supply and the yearly inflation. There are better solutions for the use-case of a private cryptocurrency available. Waltonchain (WTC) – Is It the Future of Global Supply Chains?